Is there something in your life you’d like to change? Feeling less than the joy you know you deserve? Our professional, Centers for Spiritual Living licensed practitioners are available and ready to help with any type of situation. Our Practitioners serve this community in many ways. you can now call in any time day or night for a weekly uplift recorded by one of our licensed practitioners. The licensed Practitioners of Santa Fe Center for Spiritual Living are stewards of spiritual awakening dedicated to revealing the perfection of all life. 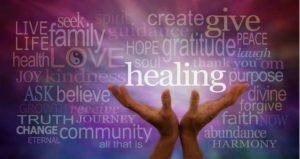 With authentic, deep listening and compassion, we actualize healing and transformation through affirmative prayer. We recognize that every once in a while, we are all in need of help. The Universe does not expect us to walk our life’s journey alone. Our philosophy encourages us to seek Oneness within ourselves and with the world around us – to give and to receive. To that end, we have trained professional practitioners that can assist you at times of need and aspiration. Through the use of careful listening and positive prayer, our minister and practitioners attend to all who experience physical or emotional anguish, or who desire a new perspective for their lives. This is done through the teaching of Science of Mind principles, providing educational material and prayer. This work is crucial in removing the hidden beliefs and the wounding feelings that prevent us from accomplishing our greatest good. All of the sessions are kept non-judgmental and strictly confidential. Typically they are one hour in duration, though this may vary according to the severity of the situation. Though the positive prayer (also called a spiritual mind treatment) is free, there is a fee for the staff’s time. The fee is negotiable with each staff member. Please call ahead of time to make an appointment and learn about the specific staff member’s availability and fee structure. Most classes taught at the Center are certificated by Centers for Spiritual Living and may lead the students to become professional practitioners. But whether they do or not, the students will learn the philosophy of Science of Mind and the technique of doing a spiritual mind treatment, so they may be of healing assistance to themselves and others. Take a look on our SFCSL Classes page for information on upcoming classes.